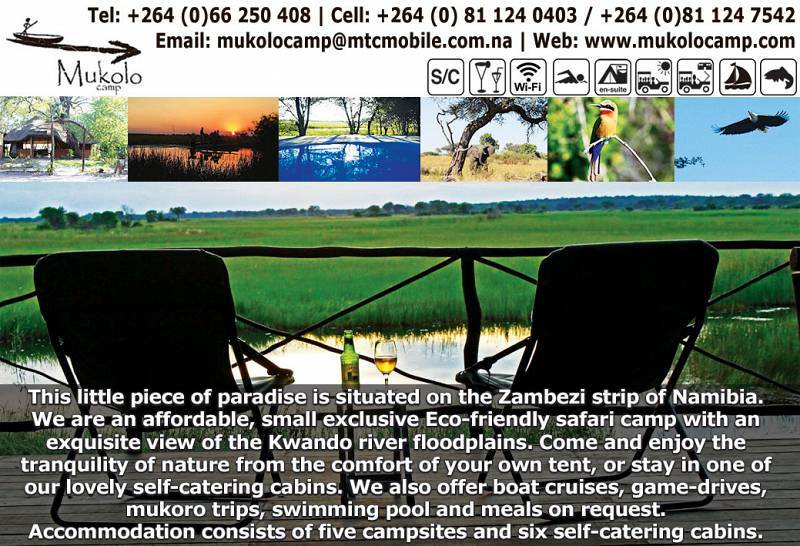 Mukolo Camp is a new development in the Zambezi (Caprivi) strip, near Kongola on the Kwando River. 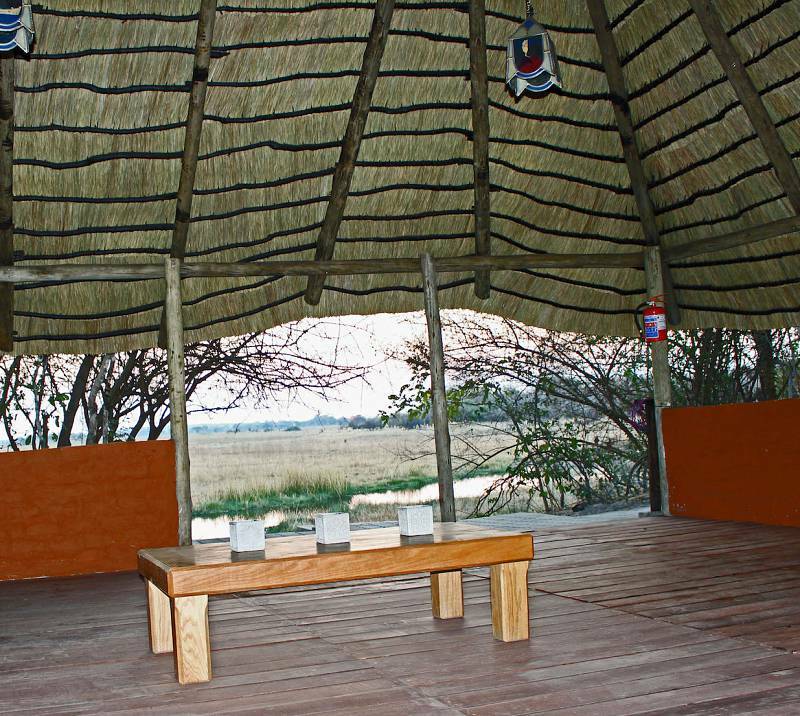 We are situated 8km from Kongola, with a beautiful view of the flood plains of the Kwando River with abundant bird life. Hundreds of different species of birds can be seen in and around the camp Mukolo Camp is a bush camp with no fencing. 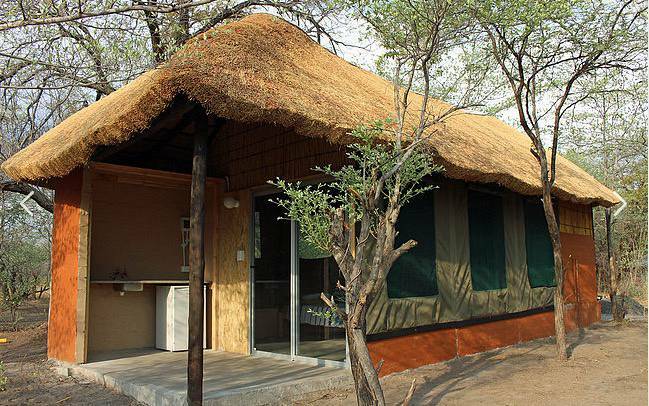 At Mukolo Camp you will experience Africa at its best. 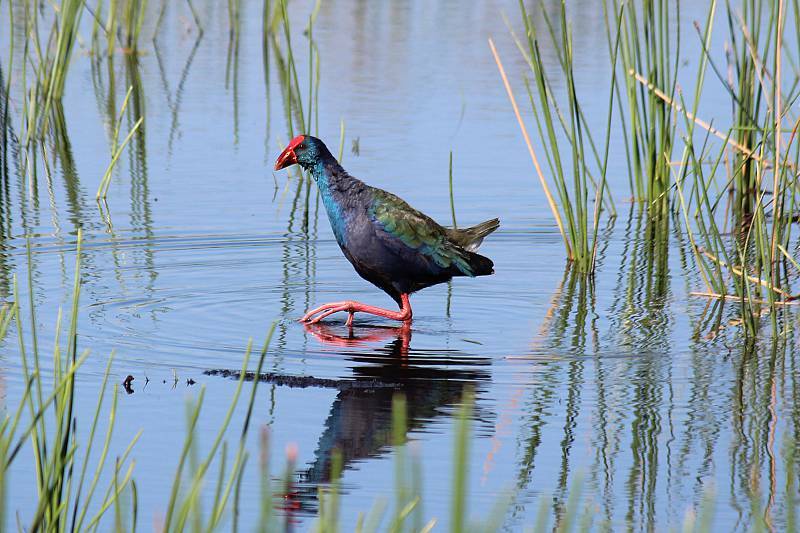 Mukolo is a bird watching paradise and you do not have to travel far to see the rare Purple Gallinule, Pygmy Kingfisher or Narina Trogon Five Campsites of which three are waterfront. Three campsites can take 2 – 6 people with 3 - 4 vehicles and the two 4 – 6 vehicles and 2 – 12 people. 6 Self-catering cabins: All cabins with a view on the water. 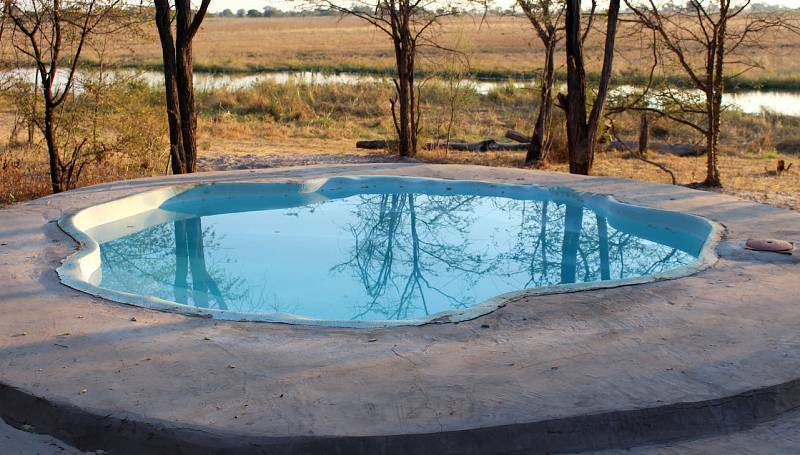 Road Description: From Rundu: Travel 400km East to Kongola on the B8. At Kongola turn right on C49 and travel 8km to the South. Turn right at the Mukolo Camp road sign and follow gravel road for 1,5km and turn right at again at Mukolo Camp road sign and follow jeep track to the office. From Katima Mulilo: Travel 110km West on the B8 to Kongola. Turn left on C49 and travel 8km to the South. Turn right at the Mukolo Camp road sign and follow gravel road for 1,5km and turn right at again at Mukolo Camp road sign and follow jeep track to the office.